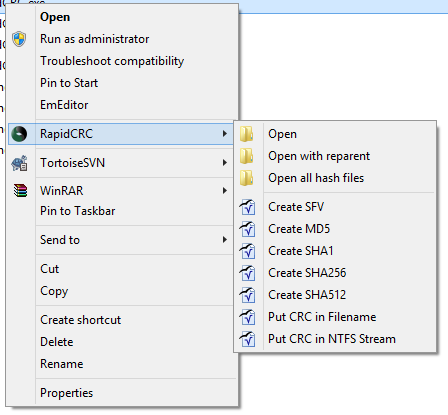 RapidCRC is an open source CRC/MD5/SHA hashing program. 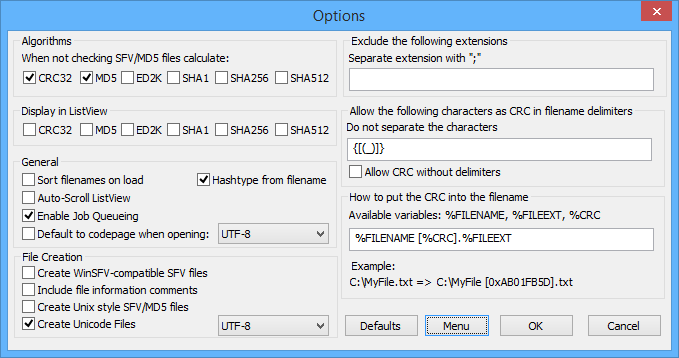 I've extended the current unicode support to allow writing of unicode .sfv/.md5/.sha1/.sha256/.sha512 files, which can be turned on/off through the settings page. Unicode sfv files are written as UTF-16LE with BOM or UTF-8 (with or without BOM), and RCRC now performs a codepage detection. I've also expanded the shell extension that was included in the sourcecode to enable all operations directly from the extension. 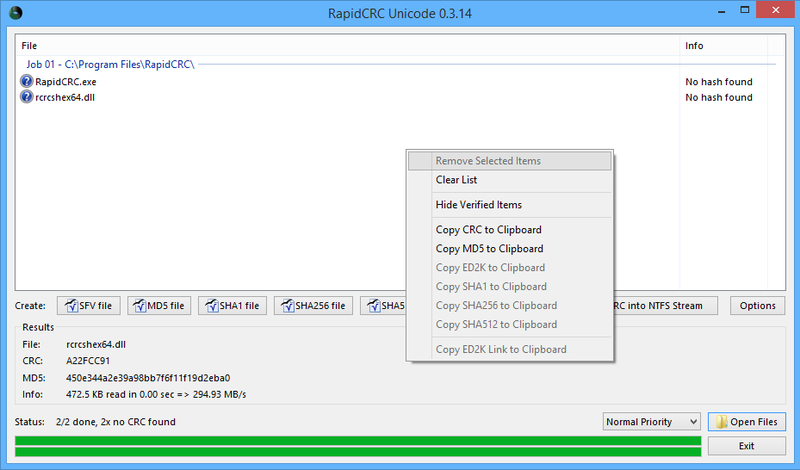 RapidCRC is released under the GPL - the sourcecode with my modifications can be found below. Be warned however that my documentation in the sourcecode is not as good as the original RapidCRC source.